Growing up, street soccer was an integral part of my personal development. If your experiences were anything like mine, asking for a new ball became a weekly norm in our household. We’d use leather balls, plastic balls and anything else with a round shape that was in reach. But, they never lasted and it was only a matter of time until the next one was needed. Even with quality of balls improving over the past few seasons, we haven’t been provided many options when it comes to street soccer. But one brand that has taken note of this slightly under appreciated category is Senda. 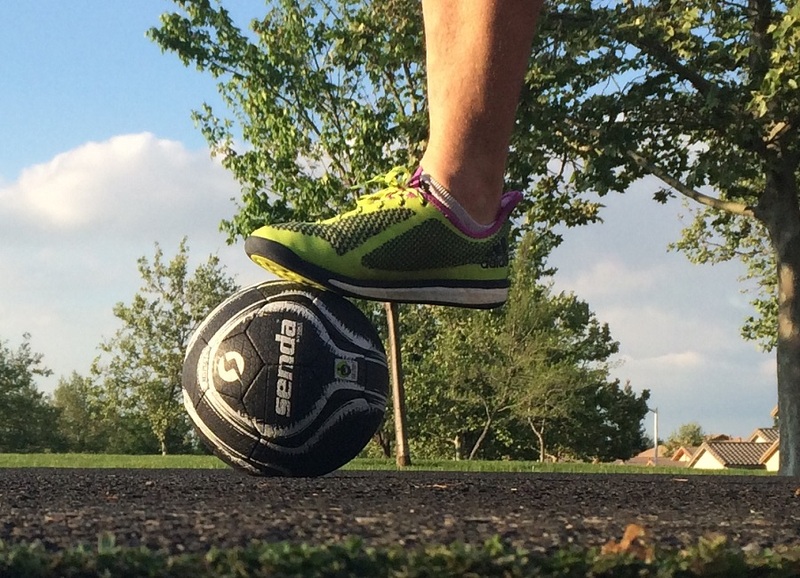 They have released the Senda 2016 Streetball; a street specific ball with a rubberized cover to offer more abrasion resistance when playing in concrete, tennis courts, basketball courts, and other hard surfaces. What puts this ball into the “Must Have” category? It is based on the unique and very specific type of performance on offer. First, this is a size 4 ball, so it is slightly smaller than your standard soccer ball and more in the mold of a Futsal ball. The casing material is a rubber, so it provides a very different feel to your standard leather ball. The closest thing I can compare it to is a basketball, except it is smaller and it feels a lot lighter to control. You’d expect there to be more spring from the rubber material, but that is not the case. When you bounce it, you don’t get a “ping” but instead it makes an “umph” sound on impact. This helps keep the ball lower to the ground and at your feet, rather than bouncing around the place on a harder surface. In similar fashion to futsal, you want the ball on the deck where you can get quick touches in. If you have ever used a plastic ball, you might be familiar with the uneven flight you get when really striking it solid. This ball is not like that, there is a much more natural flight due to the added weight and more normalized structure. Added structure means less opportunity for areas of the ball to go out of shape, resulting in quirky flight paths. The ball casing also features a texture to it, adding definition for control on the ball while also providing a unique visual design. Senda has gone with what looks like car tire tracks along the black surface. This helps increase surface area as you look to get on the ball. One important note that goes alongside that is the fact that this is a rubber ball, so there will naturally be a grippy feel about it. Don’t be surprised if you find it sticks under your feet on occasion as you adjust to using it! From a durability perspective, it has held up well to date while being used on a basketball court and on concrete in a parking lot. It will take a lot more use to find out how durable it really is, but as it stands it passes the test. If there is any further updates, I’ll make sure to add them here. OK, so not everyone is going to need a ball like this. It has a specific purpose and if you never play on hart courts, you probably won’t have a use for it. But, for anyone that needs a ball to take out on hard surfaces, having one of these available is extremely handy. Think of this scenario; your friends come over, but they haven’t brought their boots and the grass is a little slick from rain. You decide to go play on the mixed gravel/concrete driveway out the front of your house. Do you really want to use your leather ball, or are you ready for a Senda Streetball that is going to provide ideal control and surface texture for play in your Nike Free Hypervenom IC? 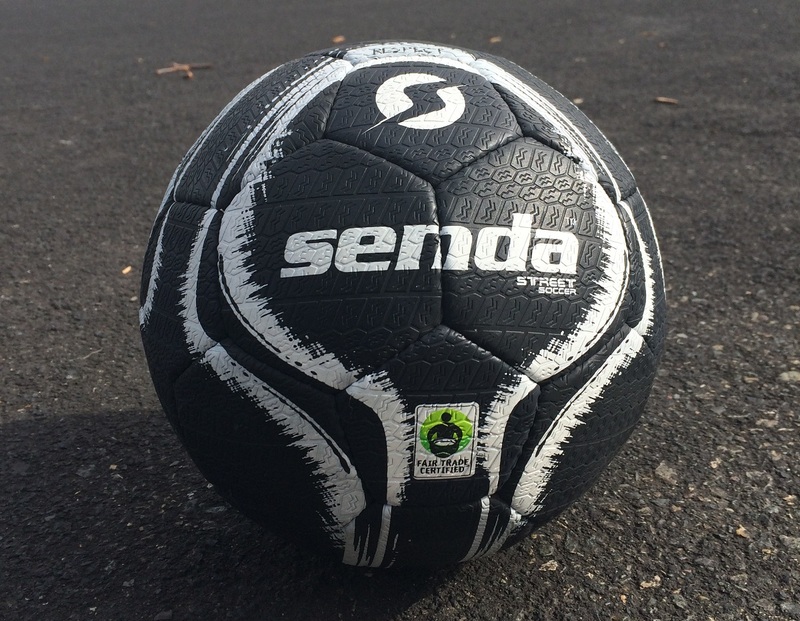 Find the Senda Streetball available at SendaAthletics, list price $39.99. 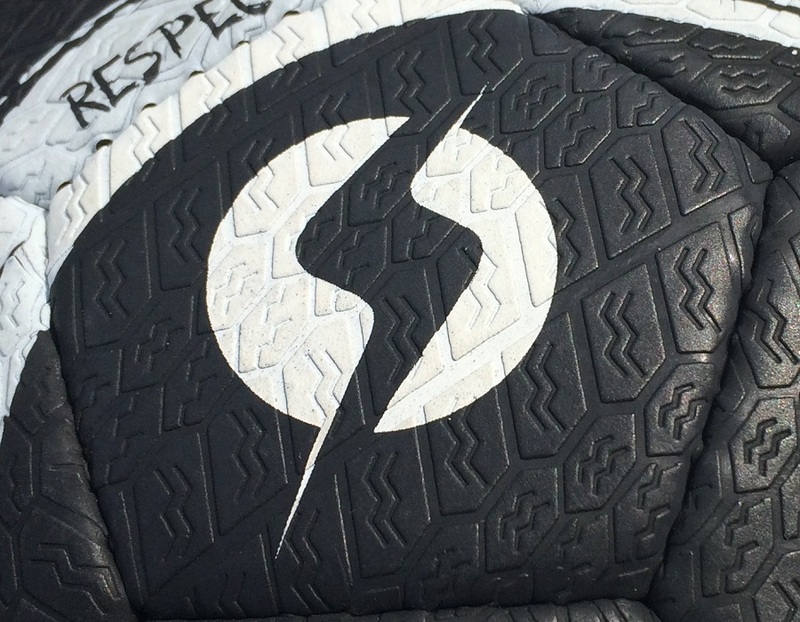 Fair Trade Certified: Every Senda ball comes with the Fair Trade Certified logo printed on the ball. This means that each ball satisfies the standards required by Trandfair USA. By choosing Fair Trade products, you are directly supporting a better life for workers through fair prices, direct trade, community development and environmental stewardship. How is the rubber against your shoes? Does it tear them up? The ball has a tacky feel, but I wouldn't say it creates enough friction between foot and ball to damage the material. In other words, I haven't noticed any problems on my Primeknit since playing with it. I considered the Senda streetball to have a bit too much bounce. 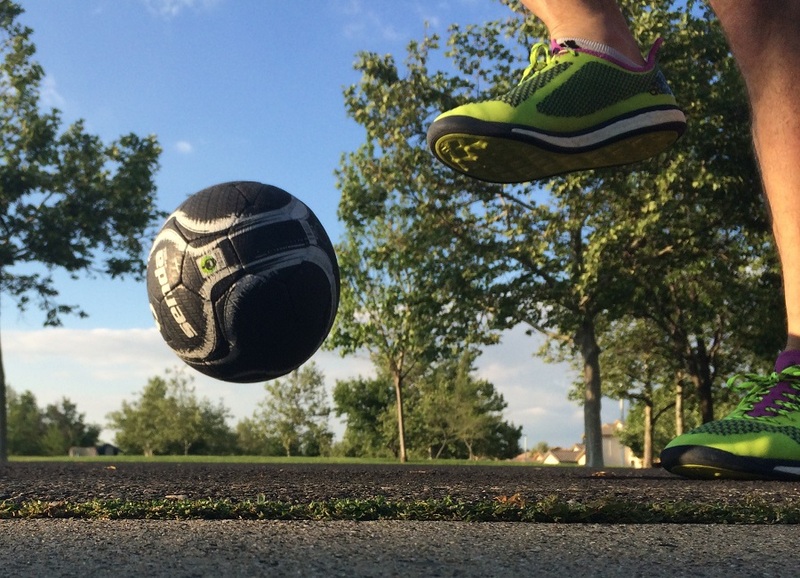 In the past, I have used futsal balls to play on concrete and asphalt. 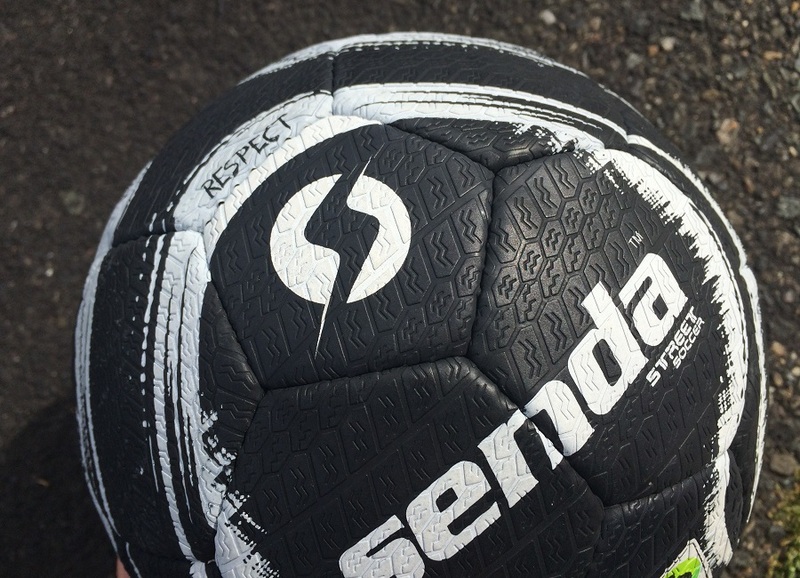 The Senda streetball performed similar to a futsal ball, but again, the general consensus was that it bounced a tad more than a futsal ball. Other than that, the ball seems durable (I have used only for a couple of months) and the ball is quite grippy which does take some getting used to.